Don't think that song wasn't playing in my head the whole time I worked on this project. I saw these firecrackers at Michaels and thought it would be an easy project to copy. 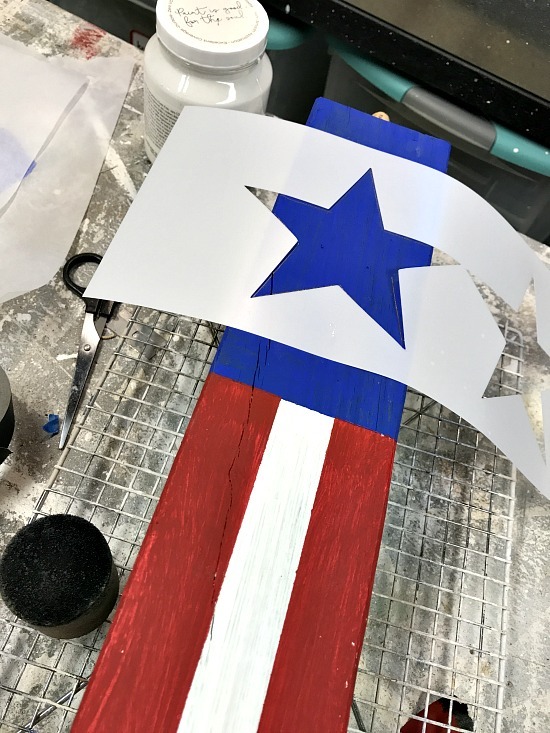 I had the 4"x4" post at home and I just ordered an awesome star stencil from Vintage Sign Stencils. 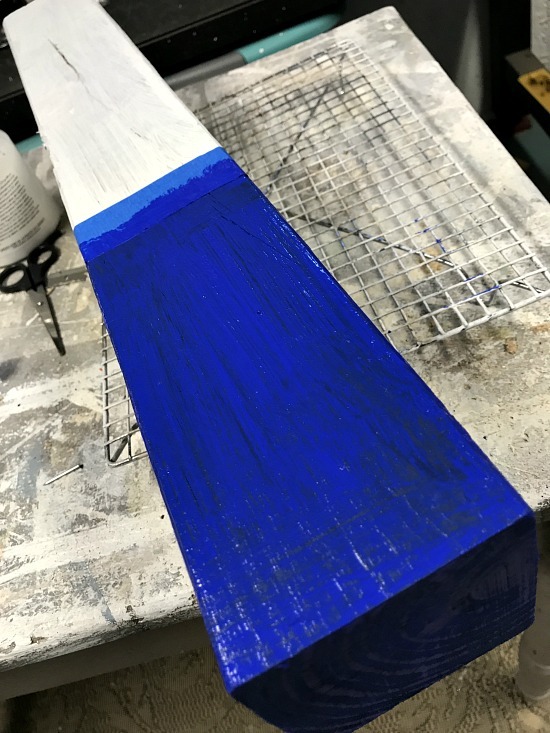 I began by taping off the areas on the post that I wanted to stripe and then for the blue part. And in case you failed to notice the yellow cricket trap in the background I will point it out because I didn't realize it was in the pic until too late!... ew!!! 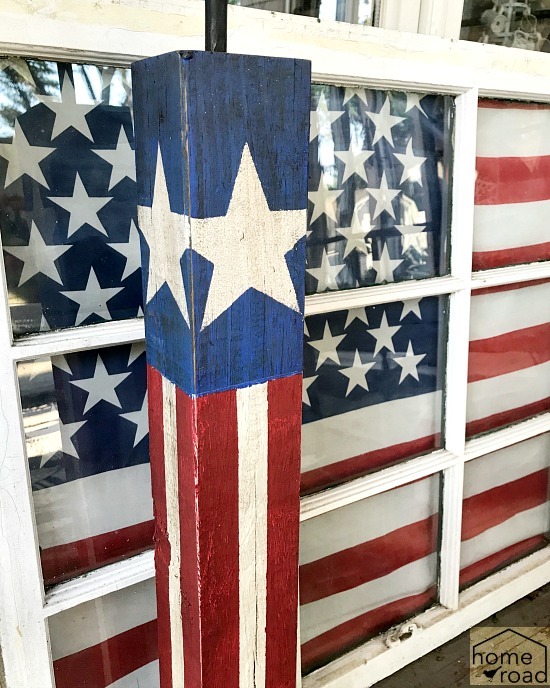 I was looking for a project to use the star stencil from Vintage Sign Stencils and this was it!. 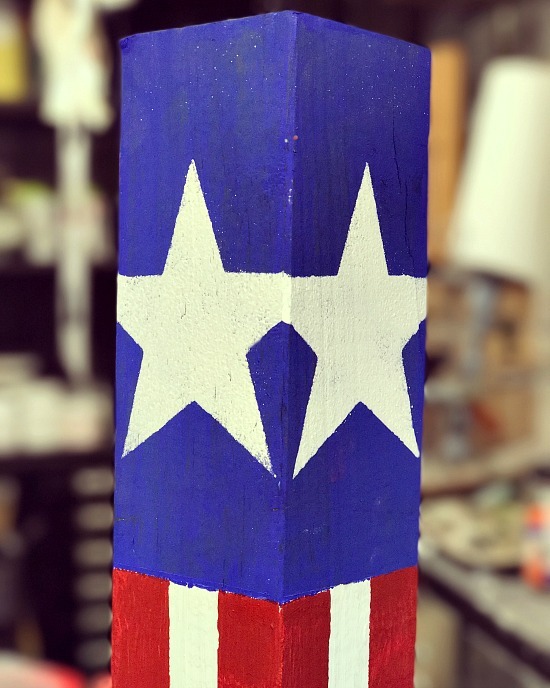 The stars are slightly larger than the post I'm using but that doesn't matter because when it's finished the stars are going to look like they are attached at the corners. For the stripes I ran a length of tape down the center of each white side, I painted red over the top of the tape, then removed the tape leaving a white stripe. 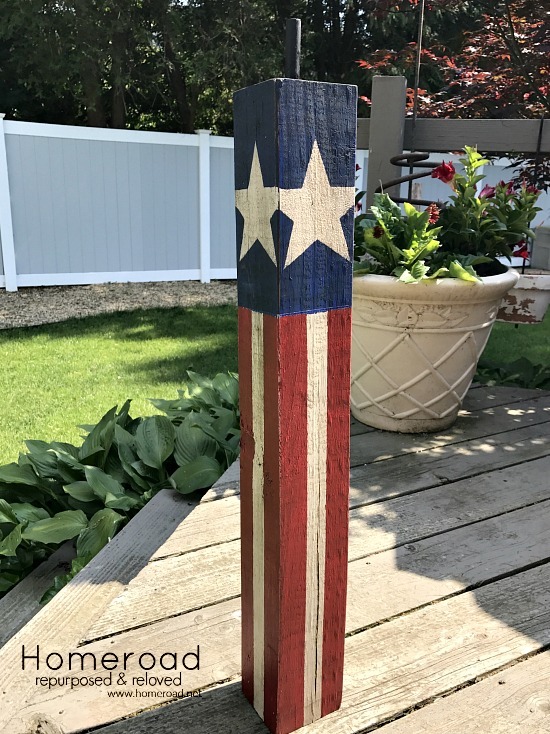 I lightly sanded all the edges of the post to distress it before I antiqued the firecracker. 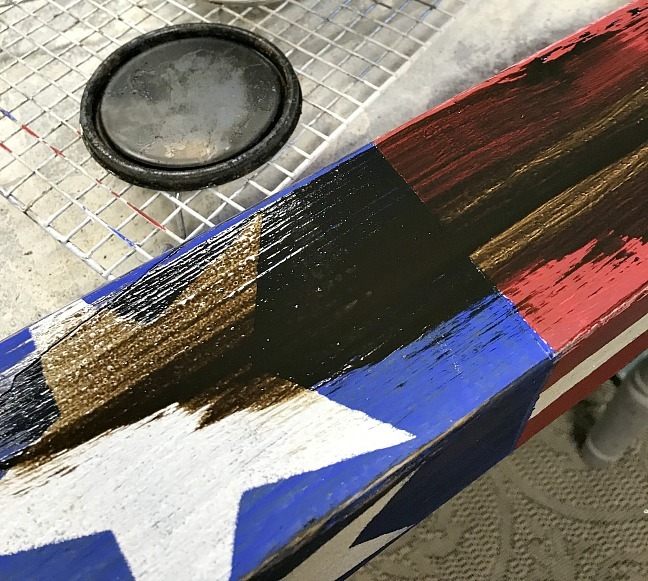 I'm using an antiquing product called Rust-o-leum Decorative Glaze. 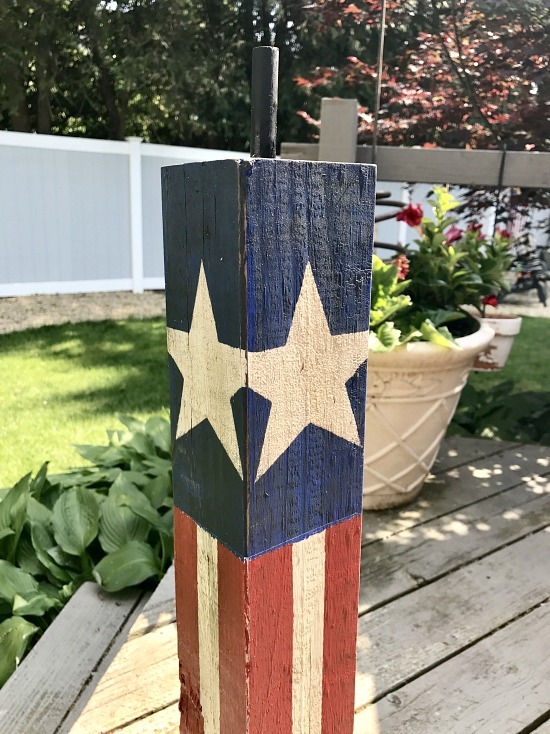 (affiliate link) I just painted it on and wiped it off, it dulls the bright colors and makes the firecracker look old. 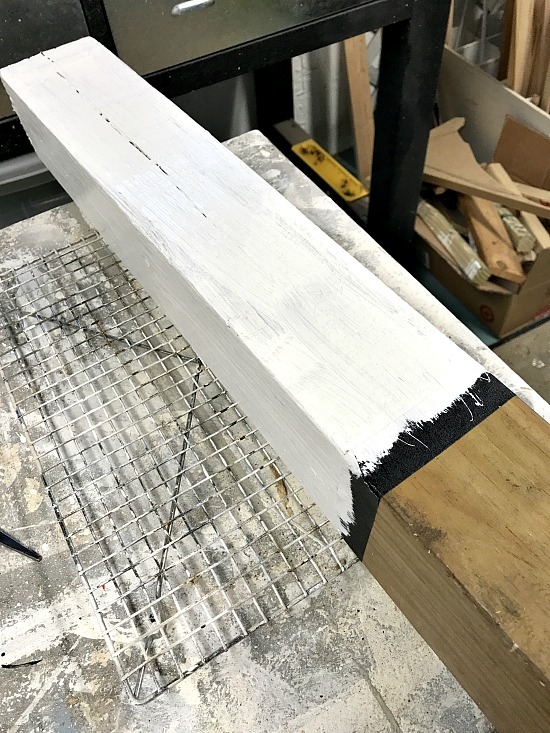 On the top of the post I drilled a hole and added a wooden dowel which I painted black to look like the fuse. 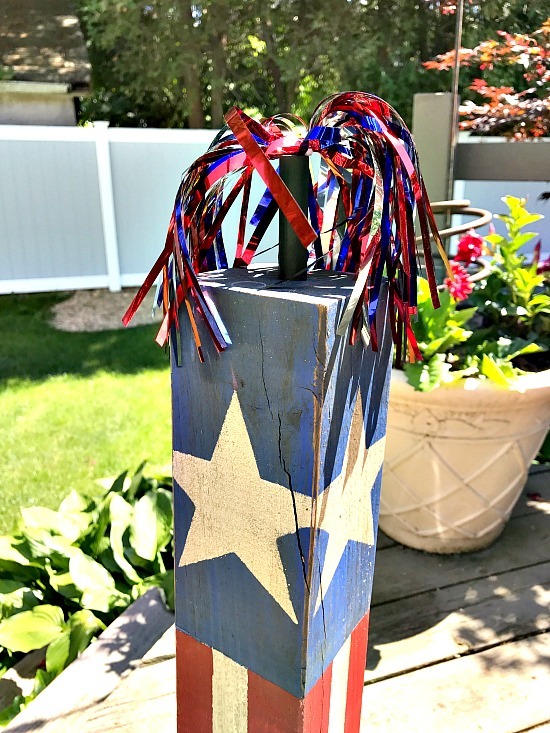 A fun, easy decorative DIY piece for the Fourth of July! And then I added a little bling to the top! 🎯 Before you go please sign up below for Homeroad emails so DIY projects can be sent straight to you! So cool Susan! I have tons of scrap 4x4 pieces. Should have made some of these to sell in my booth. I love how your firecrackers turned out. Pinning! 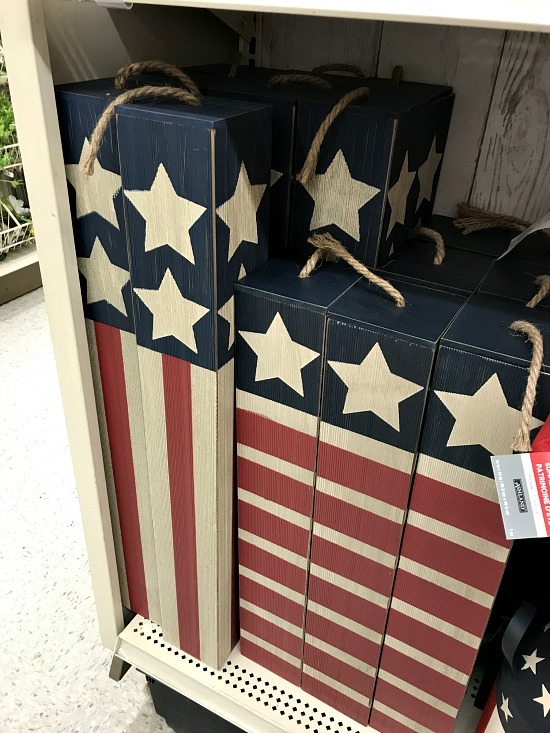 They do look better than the ones in the store and look great as porch or patio decor. Pinning!